What’s the Difference Between These Ethernet Cables, and Will They Make My Network Faster? There is, in fact, a difference between all those network cables. They look very similar from the outside, and any of them will plug into an ethernet port, but they do have some differences on the inside. If you aren’t sure what type of cables you have, look at the text printed on the cable—usually it will tell you what type it is. The differences between each type of cable can get very complicated and have a lot to do with network standards, but we’ll tell you just what you need to know: how they’ll practically affect the speed of your home network. Since Cat5 is an older type of cabling, you probably won’t see them very much in the store, but you may have gotten some with an older router, switch, or other networking device. Category 5 enhanced cabling, also known as Cat5e, is an improvement on Cat5 cabling. It was made to support 1000 Mbps “gigabit” speeds, so in theory, it’s faster than Cat5. 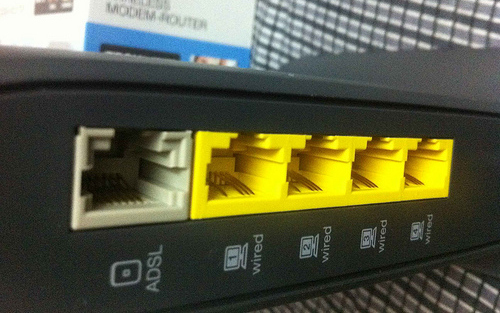 It it also cuts down on crosstalk, the interference you can sometimes get between wires inside the cable. Both of these improvements mean you’re more likely to get fast, reliable speed out of Cat5e cabling compared to Cat5. Category 6 cabling is the next step up from Cat5e, and includes a few more improvements. It has even stricter specifications when it comes to interference, and in some cases is capable of 10-Gigabit speeds. You probably won’t use these speeds in your home, and the extra interference improvements won’t make a huge difference in regular ueage, so you don’t exactly need to rush out and upgrade to Cat6. But, if you’re buying a new cable, you might as well, since it is an improvement over its predecessor. It’s important to note that your network speed is different than your internet speed. Chances are, upgrading your cables isn’t going to make a difference in how fast you load Lifehacker or Facebook—your internet speeds are still much slower than speeds on your network. However, if you’re transferring files between computers (say, if you’re backing up to a NAS), using gigabit-compatible hardware can make things move along faster. Remember, though, you’ll need more than just cables—to get gigabit speeds, you’ll also need a gigabit-compatible router and gigabit-capable network cards in your computers. Most modern routers and cards are already capable of these fast speeds, but if you have any older PCs or routers, they might not be. Google your hardware’s model number to find out. Photo by Harsh Agrawal. If you’re happy with the current speeds on your network, then there’s no need to go through the trouble of upgrading everything. However, if you have gigabit-capable hardware already, then upgrading the cables is very cheap—seriously, you can get it for mere dollars on Monoprice (depending on the length). If you’re looking to get the best possible speeds out of your network, upgrading the old Cat5 cables to Cat5e could help. Like we said, some Cat5 cables can reach gigabit speeds, but unless you want to run speed tests and find out—which sounds horribly tedious to me—you might as well just spend a few bucks and get all Cat5e or Cat6. If you’re running these cables through your walls instead of just through your office, though, it’s going to get more costly (and less worth the trouble). Lastly, remember that when we talk about the speeds of these cables, those are all theoretical. Even if everything on your network supports gigabit ethernet, you’ll probably never see speeds of 1Gb/s. But, your data transfers will be a lot faster than they would on non-gigabit hardware. Also, if you’re running cable throughout your house, you may notice a decrease in speeds if you are using cables longer than 100 meters. So, in short: If you transfer lots of data over your network, upgrading your cables from old Cat5 might help, and it’s so cheap that you might as well try it out. But don’t stress over it. For home use, the cables you use aren’t going to be a huge deal.